Jacqui Donnelly specializes in health, wellness and nutrition. As a freelance writer, her work has appeared in numerous publications and websites. Donnelly holds a Bachelor of Science in nutrition-dietetics from Montclair State University. Many factors can cause you to feel tired or fatigued throughout the day. You may not know how certain vitamins can alleviate some of these issues. This is particularly true if a vitamin deficiency is present. If you are experiencing fatigue throughout the day, be sure to consult your doctor to rule out a more serious condition before adding a vitamin supplement to your daily routine. Responsible for many of the body's daily processes, B vitamins are an essential part of a dietary routine. According to the National Institute of Health's MedlinePlus, B vitamins assist the body in turning food into energy within the body. When any B vitamin deficiency is present, fatigue or general sleepiness may occur. Taking a multi or B-complex supplement can help to alleviate these symptoms. Although vitamin C deficiency is not common in the United States, it can be found with certain medical or dietary conditions such as celiac disease, Crohn's disease, anorexia nervousa, or with an extremely limited dietary intake of foods containing this vitamin. Leading to a condition known as scurvy, vitamin C deficiency also can cause fatigue, depression and swelling of the gums. Unlike other vitamins, symptoms of fatigue are present during a vitamin E toxicity, when too much of the vitamin has been consumed. As a fat-soluble nutrient, vitamin E is stored in the fat cells of the body. 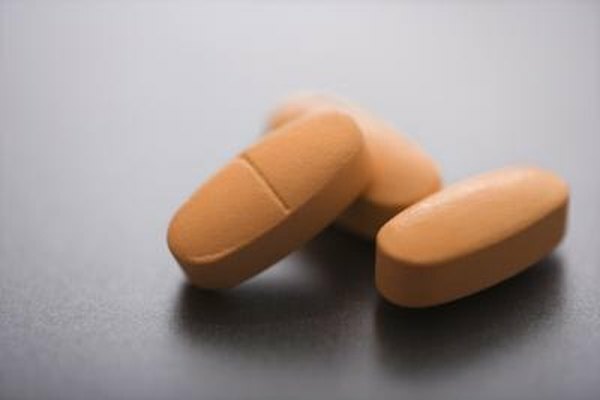 According to an article released by the University of Arkansas for Medical Sciences, a toxicity of a vitamin is known as "hypervitaminosis," and is a rare condition. Other symptoms include blurry vision, general weakness, and gastrointestinal upset. Be sure to consult your physician if you suspect hypervitaminosis. Vitamin D deficiency has been shown to worsen the symptoms of Chronic Fatigue Syndrome. Recommending an intake between 600 and 1,000 IU's per day, some symptoms may be alleviated by supplementation or more exposure to sunlight. This vitamin is also one of the crucial nutrients for immune system health, calcium regulation, muscle development, and nervous system health.